Two third graders took the same test with the same teacher. Both of the students received a C- on the test. To one student, an African American, the teacher was encouraging, assuring him that he received a good grade. But to the other, a white student, the teacher was disapproving, and said that the student could have done better. One year ago, the Western Association of Schools and Colleges published their report on Palo Alto High School. The report, which included an investigation of the achievement gap, found that the the disparity in academic success at Paly between races had not been improving as hoped. Given the district’s minimal progress in reducing the gap highlighted in both reports, the PAUSD administration is focusing on the gap for the 2015-2016 school year by not only addressing economic disparities, but unconscious biases and racial self segregation as well. Pier Angeli LaPlace, principal at Terman Middle School and a staff member at Palo Alto Unified School District for 26 years, has heard students share many personal experiences regarding racism and unconscious biases in classrooms. LaPlace says black and Latino students who witness these biases often realize that people have lower expectations for them than their Caucasian or Asian peers. LaPlace also acknowledges that self segregation is one of the many reasons for the achievement gap at Palo Alto High School. In a classroom, teachers often assume that black and Latino students need help with their work. This leads many students to feel that they are not held to equal standards as their peers based on their ethnicity. Ladaisha Roberts, a sophomore at Paly, says that she has experienced differences in treatment relative to her non-minority peers. She says that in her classes where there have been special education students with aides, the aides focus on her more than the special ed students. The discouragement that some minority students perceive from their different treatment in classes may factor into the stark disparities in academic achievement statistics across ethnicities. According to Paly’s WASC Self-Study in 2014-2015, only 6 percent of African-American students and 21 percent of Latino students were enrolled in at least one Advanced Placement course, compared to 60 percent of Asian students and almost 50 percent of white students. Junior Nadia Leinhos, who was the only African-American student in her freshman and sophomore honors math and science classes, says lower expectations for minority students in Honors lanes contribute to academic disparities in Paly’s classes. Leinhos moved down a math lane her junior year because she felt like she didn’t get support. 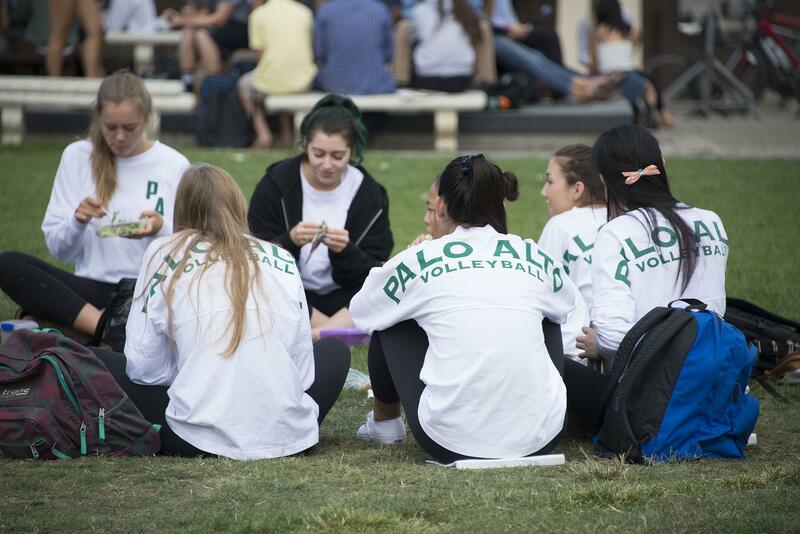 Advanced Via Individual Learning, a program offered to students at Paly, compromises part of Paly’s effort to improve its educational environment and bolster all students’ academic confidence. AVID facilitates minority achievement because it is an accessible source for college support. AVID is essential for many students because it provides the resources and guidance to prepare them for higher education. Through supplying access to vital resources such as computers and teaching students a variety of study skills, the program strengthens struggling students’ self assurance in their intellectual abilities. Estrada believes that pride or the fear of being labeled “stupid” are often factors when black or Latino students in particular fail at finding guidance and support at Paly. The problem also arises because some students don’t know how to find the support they need. During lunch, many students segregate themselves by race and claim a section of the quad. For some students of color, finding people of a similar background allows them to feel a sense of belonging. “They [students] share kind of a common background with students who are like them from neighborhoods of the same race,” says Stanford University Professor of Education Sean Reardon. Minority students living in EPA may experience a feeling of disconnection to their peers and to the Palo Alto community at large because they are not able to participate in the same opportunities and experiences as them. Because students surround themselves with people of similar backgrounds, they don’t experience diversity. 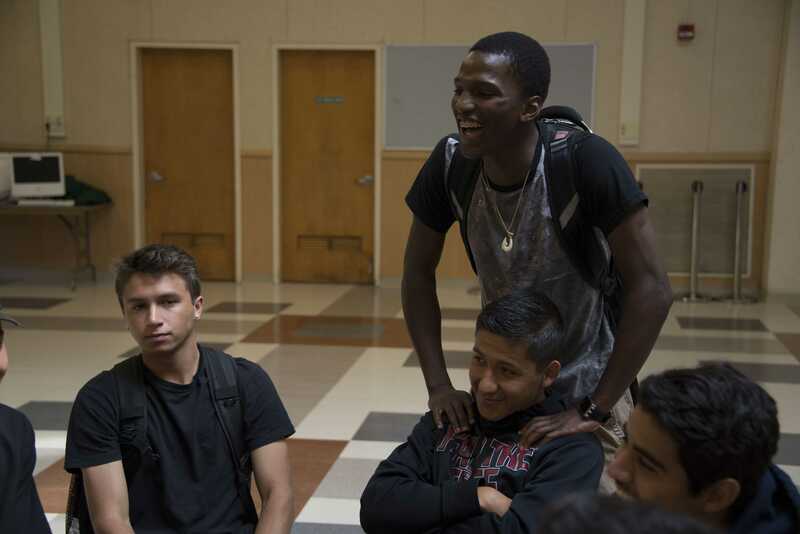 Although many races and cultures are represented at Paly, self-segregation does not allow students to reap the benefits of the diversity at Paly. In the 2014-2015 school year, the district launched a committee to analyze the issues addressed in the WASC report. The result was the WASC self-study report published along with the Minority Achievement and Talent Development Advisory Committee’s report for the Board of Education. Some of the most prominent issues regarding the achievement gap included a lack of a diverse staff, unconscious biases against minority students, early education achievement gaps and laning. According to the 2014-2015 WASC self study report, the percentages of Latino, African American, and Asian staff members are less than 10 percent each, while the percentage of white staff members is over 70 percent. According to McGee, less diversity means less perspective and cultural awareness. Starting in the 2015-2016 school year, McGee says that the hiring department will be evaluated on their ability to recruit a staff that mirrors the diversity of the student population. In order to make the faculty even more accessible and supportive of all types of students, the Minority Achievement and Talent Development Advisory Committee formally announced their goal to raise awareness in the PAUSD staff regarding unconscious biases and how they affect students. To meet this goal, PAUSD has developed training sessions for staff members devoted to awareness of unconscious biases and the role they play in the school system. In addition to providing a supportive and diverse faculty, the administration hopes to reduce the achievement gap by offering more accessible early education. According to McGee, elementary schools will administer interventions for students in kindergarten through second grade to ensure that they are performing at an appropriate academic level. In addition to early education reform, the administration is attempting to adapt the laning system in PAUSD middle schools, so that students will have more flexibility in switching math lanes. “[There will be] an extra math teacher in each of the middle schools, so kids can move up into lanes and have the support they need,” McGee says. Although the administration’s progress in diminishing the achievement gap has been slow in the past, there are now two detailed plans in action to improve PAUSD. “What’s great is we have a plan and this plan isn’t going to happen all of it this year, but we have twelve [goals] for this year and then hit [address] them all,” Argumedo says. 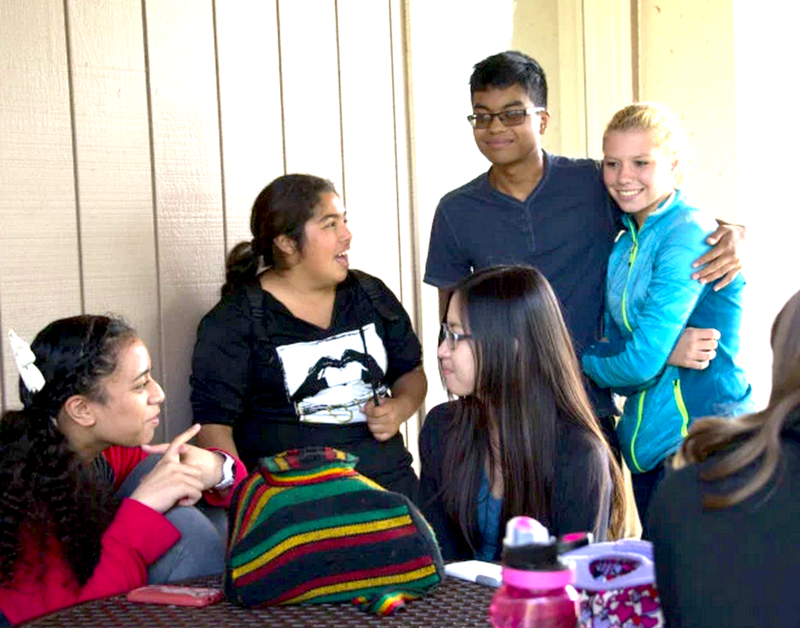 As reflected through the many reforms and future goals to reduce the achievement gap, PAUSD is trying its best to help students of all races succeed equally. According to McGee, the achievement gap is one of the district’s top priorities.